On Friday morning (October 1), I was a guest on the Ron Insana radio show. 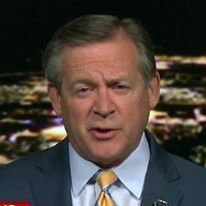 Ron is a former anchor at CNBC, and he and I worked together when I was a CNBC Middle East military analyst during the American-led invasion of Iraq in 2003. I have been on his radio show periodically over the last few years. Ron asked that I come on the show to discuss the elevated terrorist threat, given the recent arrests in Europe of a group of European nationals trained by al-Qa'idah to launch "Mumbai-style" attacks against Americans and other Westerners. This is in reference to the November 2008 attacks by members of the al-Qa'idah affiliated Pakistani terrorist group Lashkar-e Taiba in Mumbai. During the three day killing spree, a group of 10 terrorists who had infiltrated into India by inflatable boats were able to kill almost 175 people and wound over 300 others. Most of these attacks were aimed at hotels and tourist locations that cater to Westerners. In response to Ron's questions, I made the point that this phenomenon of "home-grown" terrorists is an al-Qa'idah adaptation to our fairly successful military and intelligence operations against terrorist organizations. However, as bureaucracies are wont to fight the last war, to solve the last problem, American law enforcement and intelligence agencies had focused on Middle Eastern and South Asian nationals as potential terrorists. Soon after the Bush Administration created the Department of Homeland Security, al-Qa'idah instructed its members to start recruiting "non-alerting" potential jihadis. They have been successful. They have recruited British-born and American-born Muslims to join the organization and to travel to Pakistan's Waziristan provinces for indoctrination and training on "martyrdom operations," which is jihadi-speak for suicide bombings. The poster child for this effort is arguably American citizen Najibullah Zazi. Zazi is labeled as an naturalized citizen born in Afghanistan, but more importantly he is an American citizen of Pushtun descent. Pushtuns are the ethnic group that comprise the majority of the Taliban and who provide protection and support the the Arabs of al-Qa'idah in the Afghan tribal areas. "Tribal areas" is a euphemism for what I'll call Pushtunistan. Zazi's status as an American citizen allowed him to move easily in and out of the United States, not drawing much attention. His American citizen status also protected him from many surveillance and investigative techniques that American law enforcement and intelligence agencies have used effectively against foreigners. We should not underestimate al-Qa'idah's ability to recognize such weaknesses and adapt to exploit those weaknesses. Another case in point is the American-born radical cleric Anwar al-'Awlaqi, now believed to be resident in Yemen. The ACLU has mounted a legal challenge to the government's plans to kill al-'Awlaqi if possible. Although I think killing al-Awlaqi would be a good thing, the legal restrictions need to be addressed, not just for him, but for other and future American-citizen jihadis overseas as well. We all remember John Walker Lindh, or "Taliban John," who was accorded all rights of an American citizen despite the fact that he was captured on a battlefield in Afghanistan. There was also an American-born Saudi member of al-Qa'idah who had to be transferred from Guantanamo to a Navy detention facility to allow him all the rights of an American citizen. If you take up arms against the United States, I do not agree that they are still American citizens, but then I'm not a lawyer. I'm just a retired intelligence operations officer who had to deal with such scum. As for Lindh, I'd have left him on a battlefield in Afghanistan; he would have not needed an attorney. All that said, what do we do? We need to allow our intelligence agencies to collect information on potential jihadis, regardless of their citizenship. I have no problem with getting warrants, but at least set up a system that works. If I was in charge, there would be no Department of Homeland Security. As far as I can tell, all they do is get in the way, that is, when they are not looking at former military members as potential terrorists. I cannot find any incident that was prevented in which DHS was the lead agency. Most of our successes have been the result of good old fashioned law enforcement or classic intelligence work, not the bloated bureaucracy that is DHS. Give the FBI the lead for this vital mission. We also need to cooperate more closely with our European and Middle Eastern allies to track potential recruits as the travel for training and indoctrination. Right now the common denominator for the travel and training is Pakistan, specifically the Waziristan provinces. Ron asked me the obvious question: why don't we pressure the Pakistanis to have their army move into the Waziristans and wipe all these guys out. We have, but the answer is not that simple. Pakistan was created out of British India and includes several ethnic minorities. One of these is the Pusthuns who inhabit both sides of the Pakistan-Afghanistan border area. Their loyatly is not to Pakistan or Afghanistan, it is to their fellow Pushtuns. Their law is Pustunwali, the unwritten code of the Pushtuns. There are also many Pusthuns in the Pakistan Army, which is a good military force. The Inter-Services Intelligence Directorate (ISI), the country's major intelligence agency, is also heavily-populated by Pushtuns. Many of these officers are sympathetic to the Taliban and al-Qa'idah, and are certainly not in favor of mounting extensive, bloody military operations against their fellow tribesmen. The government in Islamabad maintains an uneasy balance of the ethnic groups. Upsetting that balance is a risk not to be taken lightly, for Pakistan or the United States. What we do not need is the fall of the Pakistani government and the rise of a radical Islamic state with an arsenal of nuclear weapons and the missiles and aircraft with which to deliver them. Take that one step further and imagine these weapons transferred to al-Qa'idah. It is a difficult problem, but one we have to address. We need real homeland security run by proffesionals who will not dismiss every al-Qa'idah plot as "lone wolf" operations as they did with Fort Hood killer Major Nidal Hasan, Christmas-day "underwar bomber" 'Umar Faruq 'Abd al-Mutalab, failed New York subway bomber Najibullah Zazi and failed Times Square bomber Faisal Shazad. We've been lucky. That won't last. We need effective leadership.